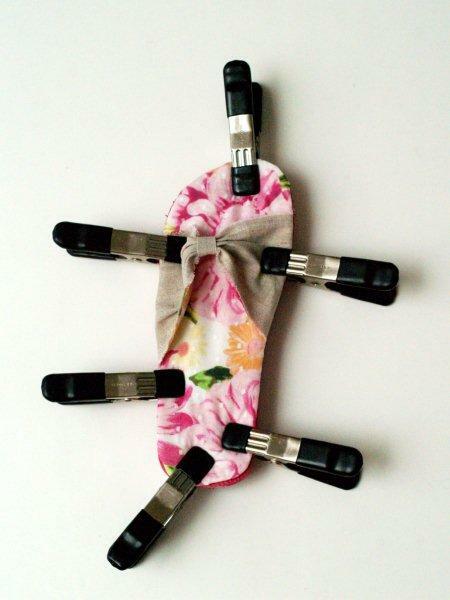 A couple of weeks ago I had a blast taking part in A Couple of Craft Addicts Flip Flop Refashion series! These are the fun new shoes I made to share there! 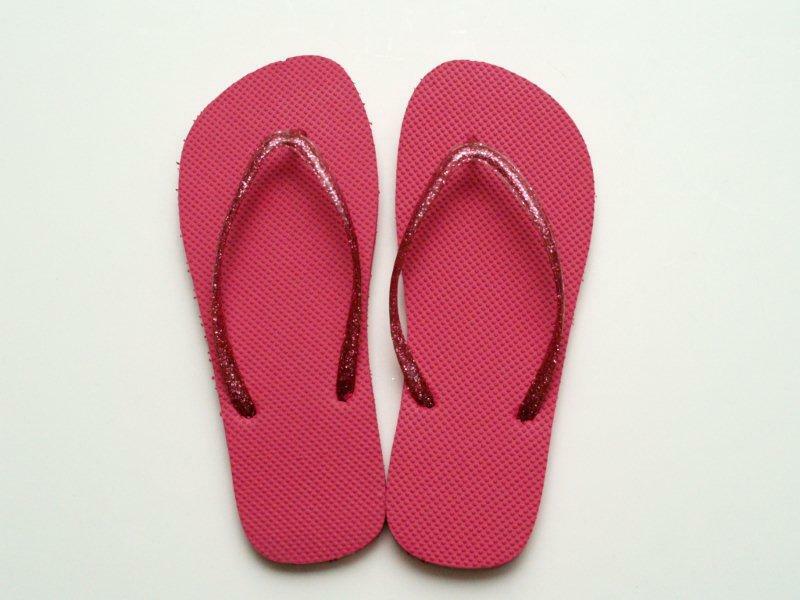 I didn’t make it over to Old Navy for their big flip flop sale – but I did find some at Walmart for $2.50. Not bad at all. The only problem with them was the plastic part on top. Kind of hard and not so comfy. So I cut it off!! Here is what I came up with instead. . .
Start by cutting the plastic tops off of your flip-flops. 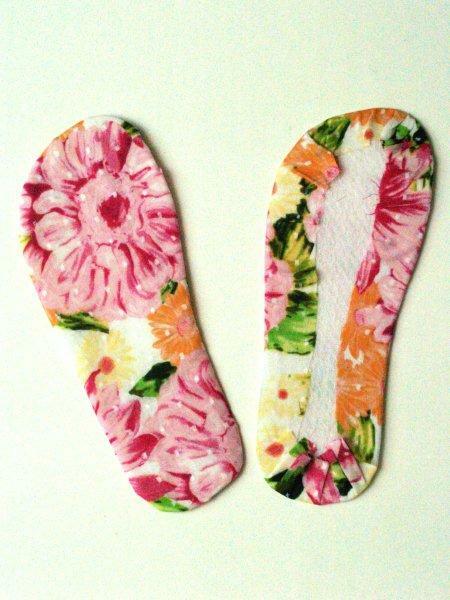 Cut out a piece of fusible batting and heavy weight interfacing, the size of each flip-flop. 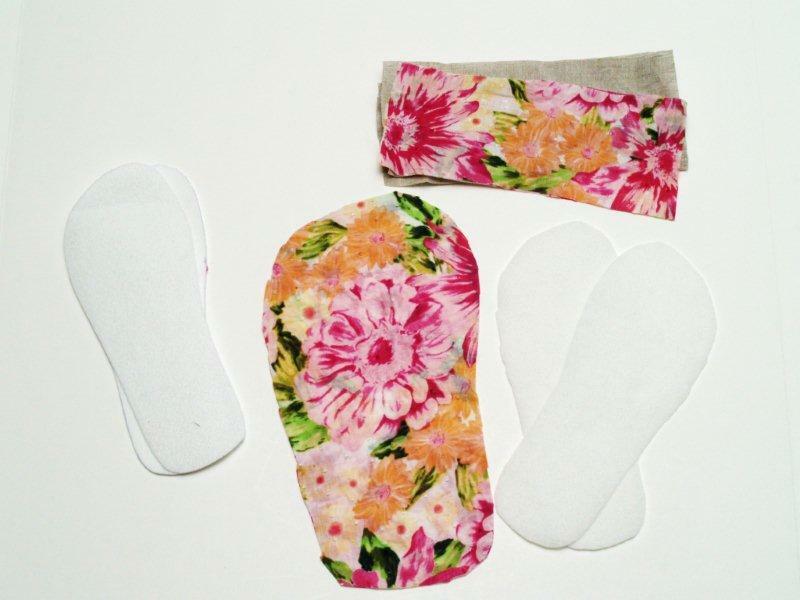 Cut out your fabric about 1 1/2″ – 2″ larger than your flip flop. Cut out two rectangles of print and 2 of linen – about 4″ x 8″. You need enough to go over the top of your foot and wrap under for gluing. Iron your fusible interfacing onto the back of your printed fabric pieces. 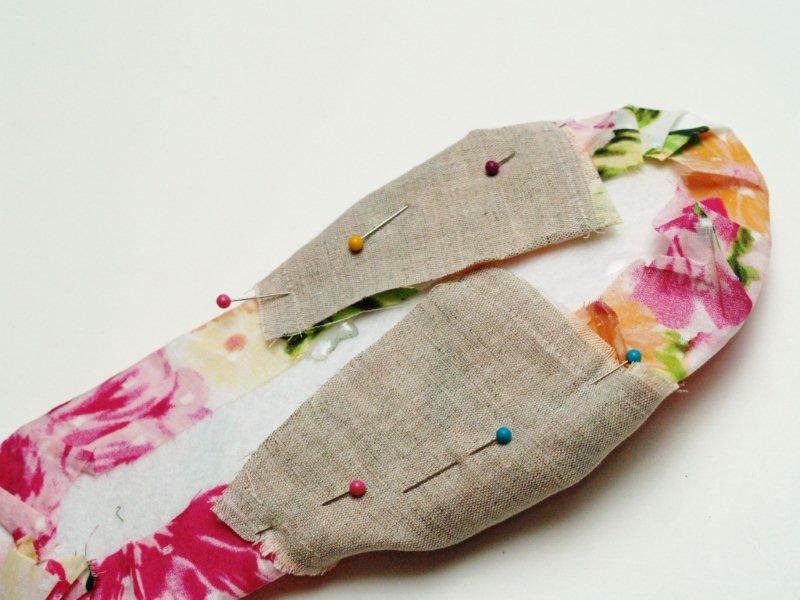 Place the heavy-weight interfacing on the wrong side and press your fabrics tightly around the interfacing, so it is pulled snug but not so tight that the interfacing isn’t flat anymore. 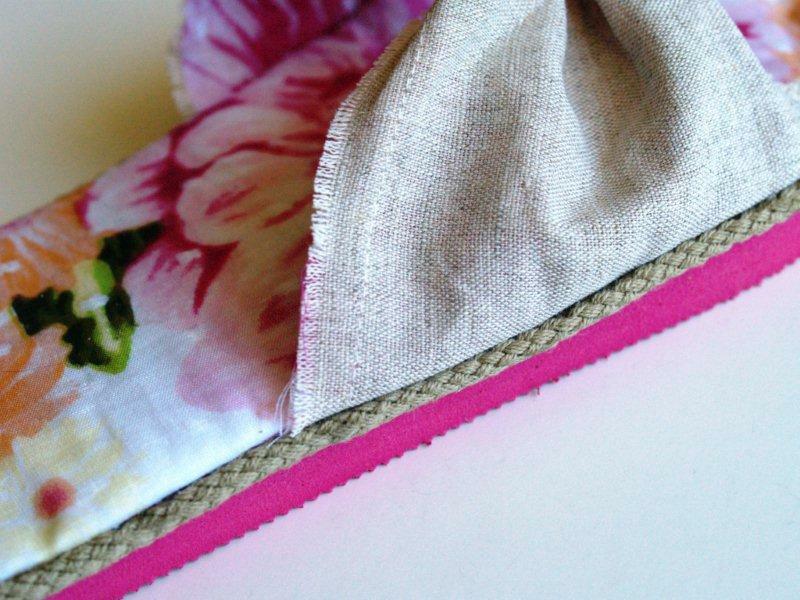 Sew one linen rectangle to a printed rectangle – wrong sides together. (If you don’t like raw edges, sew them right sides together and turn inside out). 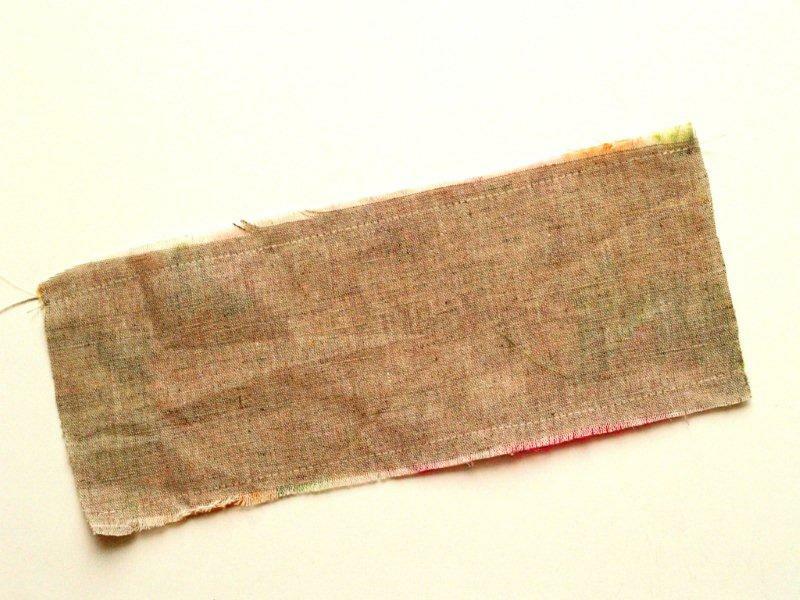 Cut a strip of linen about 2″ wide and 3″ long.. 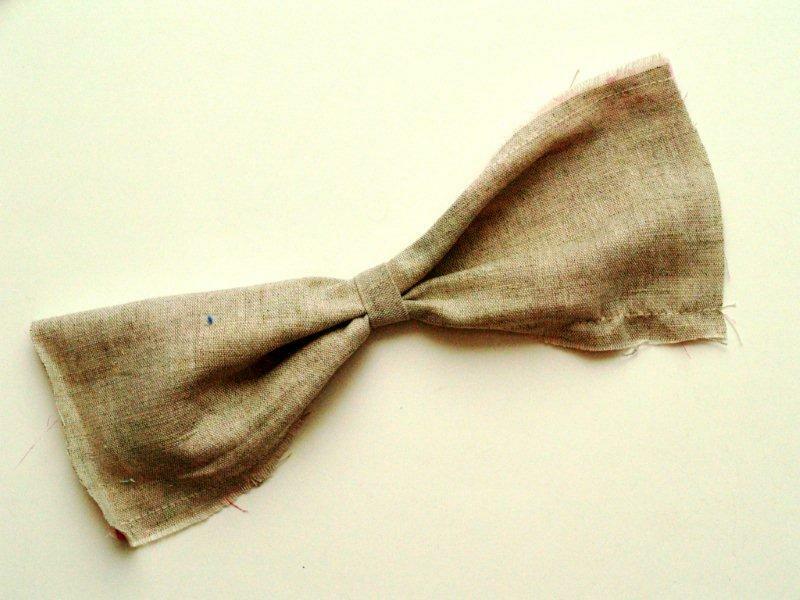 Fold over each side and wrap around the center of the rectangle to make a bow. Sew the center of the bow down on the underside. 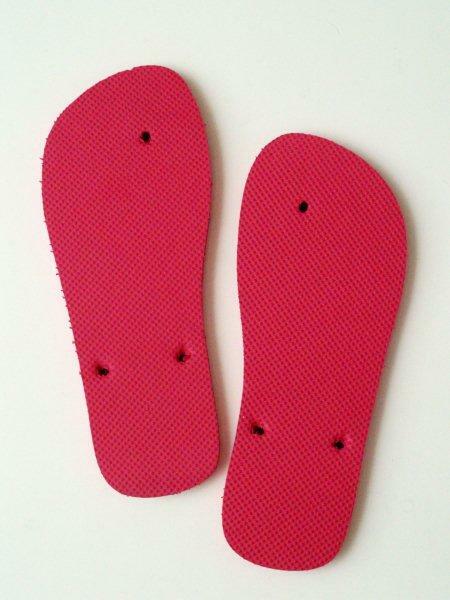 Put the padded base on your flip flop and put your foot on it. Place the top section where you’d like it over your foot and tuck the ends between the padded base and the flip-flop base. Pin the rectangle in place. You want it snug over your foot but not super tight. You don’t want blue toes after an hour or two. Glue down the ends of the rectangle. Add glue all over the flip-flop base. Make sure you get the edges well. Place the padded base over the flip-flop base – clamp or set a heavy book on it so that the pieces stay together while drying. I let mine dry overnight. In the morning you’ll have cute new shoes – but they need something more. There is a small space between the padded base and the foam. Run some glue along the edge and add cotton cording into the space, all the way around the flip-flop. Tuck the ends between the padding and the foam so they don’t show. 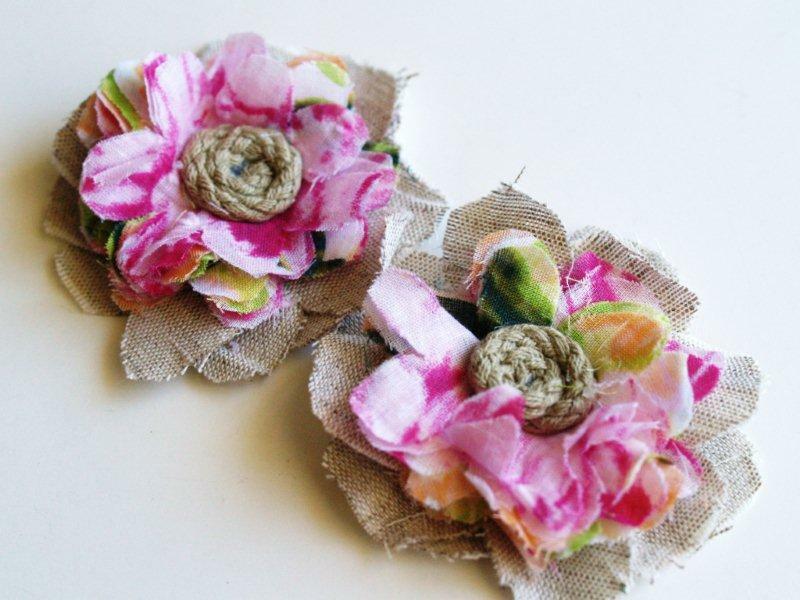 Make some little fabric flowers to add to the top. I layered the linen and print and topped it with a little circle of cording. Glue those to the center of the top section and you’re all done!! UPDATE – I’ve worn them and they’re still super comfy. I’m not having any problems with the glue. and the other fabulous parties on the sidebar – make sure you check them out! « Think Pink Sundays No. 15! so cute!! I love these! What a fun idea & they look SUPER comfy!! Wow Bev. These look so different, I was blown away! There are a lot of flip flop refashions and this was by far the most drastic…good work!!! These are INCREDIBLE…how insanely clever are you????? what an awesome idea can’t wait to try them! Wow, Bev! I can hardly believe what these started out looking out as! I showed them to the hubs, and he raised his eyebrows. High! That means he was really impressed. ;) lol! They look fantastic! I just had a pair of flip flops break and didn’t throw them away thinking I could do something like this! Thanks for the tute! very cute! The flipflops are completely unrecognizable! They are beautiful! I love them. But I CANNOT stand anything between my toes! Otherwise I would make these in a heartbeat. Janlynn – the finished product does not have anything between the toes. Check out the finished photos again. These are sooooooo adorable!!!! I want a pair! Good gravy Bev those are awesome! And I need a pair of cute flip flops. Terrified of attempting this project (not a sewer) but might give it a try. Dang. Those are amazing. You are so clever!! I love the fabric you chose too. Excellent! These are simply fabulous! 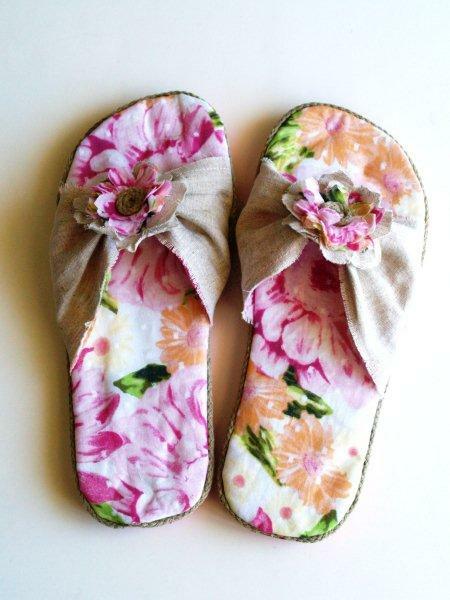 I would never have thought to do this to an old pair of flip flops – they look incredible! I can’t believe those are the same flip-flops! Beautiful, Bev! So cute! I love the look and swapping out the plastic tops – sometimes they’re just not comfy so replacing them with the fabric versions sounds like a great substitute. this is fantastic. really great job! These are so cute!! Thanks for the tutorial. I will definitely have to try these out! Love them – my daughter and I will have to craft them together – thank you for sharing! WOW! I really love your idea. It’s nice. Only you would come up with this geniusness. They’re too pretty to wear! A, mazing! You are one talented girl! 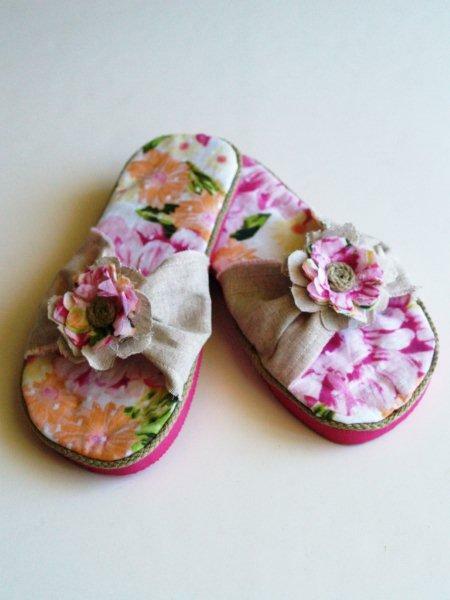 Bev, these are absolutely the best refashioned flip-flops ever! I feel very lucky to have had them linked-up at Rook No. 17! Thank you so much! that is some sweet pair of flip flops! so so cute! you did a wonderful job. I hope they work for you the rest of the summer, so you can enjoy them! Those are soooo cute! This is the first refashion I’ve found that disregards the holes altogether. Thanks for thinking outside that box. how did you finish the BOTTOM of the shoe???? I didn’t do anything to the bottom of the shoe – I just used the sole of the flip flop as the base. LOVE these! I have a terrible time finding cute flip flops for me since I broke both feet and they now swell horribly. Going to try these ASAP. Thanks! Like? NOOOOO!!! I love, love, love them! I can’t wait to buy a pair at my local dollar store and start creating! Thanks for your creative idea!! !